Other than a championship rematch, bowl season is in the books, and many fans are already asking: What about next year? Top 25 rankings are a college football staple, and one of our favorite debates each January involves speculating on what the next preseason top 25 might look like. Who returns the most talent? Interestingly, the top 10 has a bit of a consensus feel amongst notable college football analysts — of course, the order of said top 10 can be rearranged endlessly. Ranking teams 11-25 is much more murky. But we’ll take a stab at it anyway. 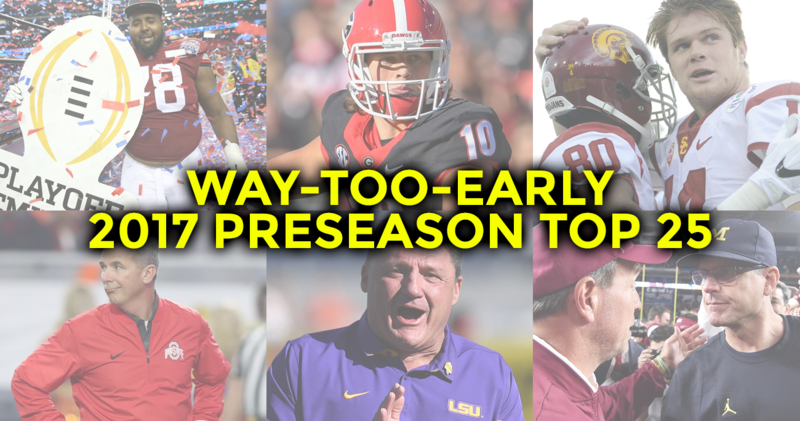 Enjoy the early look at the 2017 preseason top 25, and enjoy the debate that naturally will follow. Alabama has proven that it simply doesn’t matter who leaves for the NFL. The program has practically become too big to fail at this point. So many fantastic players were lost off last season’s national title-winning team. If anything, the Crimson Tide are better this year. It’s not beyond the realm of possibility that they’re even better next year, too. The silver lining of the Fiesta Bowl shutout was the fact that Ohio State was the youngest team in America entering 2016. 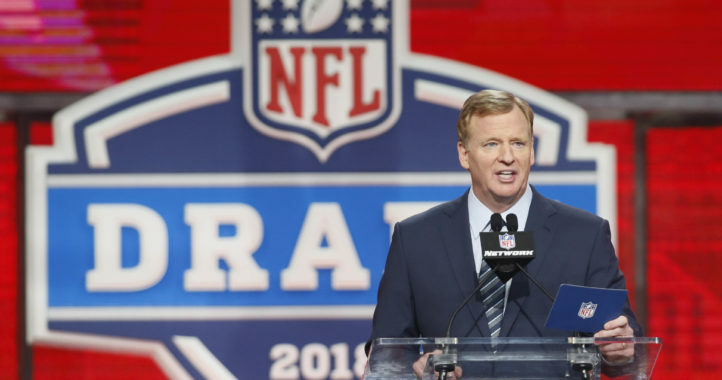 The Buckeyes will lose some underclassmen and a couple of key upperclassmen to the NFL, but they’ll return a wealth of talent. Urban Meyer isn’t going anywhere. Florida State loses its two biggest superstars in Dalvin Cook and Demarcus Walker. Cook was arguably the nation’s best running back. Walker was perhaps the country’s most productive pass rusher. But aside from those two, the Seminoles return just about everybody — offense, defense and special teams. While Jimbo Fisher isn’t Nick Saban on the recruiting trail, he’s pretty close and has stockpiled an embarrassment of riches in Tallahassee. After a rough December, USC (like Penn State) became a darling of college football led by freshman quarterback Sam Darnold. The wild Rose Bowl victory will stay with fans throughout the offseason. The hype will be aplenty for the Trojans as they enter the 2017 season. The Lions were a field goal from winning 10 consecutive games with wins against three top-10 teams. And that high-powered offense? The Lions could return every player who received an offensive touch in 2016. Kirk Herbstreit already put Penn State in his preseason top five. Don’t be surprised if he’s right. After an impressive win against Auburn in the Sugar Bowl, Oklahoma fans are already speculating on a great 2017 season as quarterback Baker Mayfield returns. The Oklahoma team has plenty of talent all over the field, and Bob Stoops has them competing for Big 12 championships every year. The Huskies, led by Chris Petersen, vaulted onto the national scene and made it known that they plan to be a force in college football … even if they suffered a near-blowout loss to the Crimson Tide in the Peach Bowl. Jake Browning is back, and Petersen is one of the more respected coaches football. Expect Washington to battle USC for the Pac-12 title on a regular basis in the years ahead. Dabo Swinney has the Clemson program rolling in the same fashion as some of the top programs in the land such as Alabama, Ohio State and Florida State, but losing a talent like Deshaun Watson is never easy. Regardless, the Tigers will battle Florida State for control of the ACC in 2017. It was supposed to be Michigan’s year in 2016. It wasn’t. Still, Jim Harbaugh’s recruits will finally become Michigan’s foundation and the Wolverines will return one of the top defensive lines in the country. Michigan won’t have 2016 hype, but it won’t exactly be rebuilding in 2017. Remember when the Badgers weren’t supposed to finish 2016 in the top 25? They earned a New Year’s Six bowl win with a young, but talented team. Wisconsin’s preseason ranking could change with the draft decisions of All-Americans Ryan Ramczyk and T.J. Watt, both of whom would be the best players on their respective units. Either way, pencil the Badgers in for double-digit wins again in 2017. The Cowboys smoked a good Colorado team in the Alamo Bowl, but most importantly, Mike Gundy gets his QB-WR duo of Mason Rudolph and James Washington back in 2017. Expect some big numbers from these two. Ed Orgeron perhaps got one of the biggest victories of anyone this bowl season in the overwhelming effort against Louisville. LSU always has plenty of talent, and an open quarterback competition this offseason under new OC Matt Canada means LSU is one of the more interesting teams as we approach 2017 kickoff. The hype started as soon as Nick Chubb and Sony Michel — and two key defenders — announced they were returning for their senior season. No SEC team outside of Alabama — and few anywhere — can match Georgia’s backfield, which includes three eventual NFL players in Chubb, Michel and Jacob Eason. 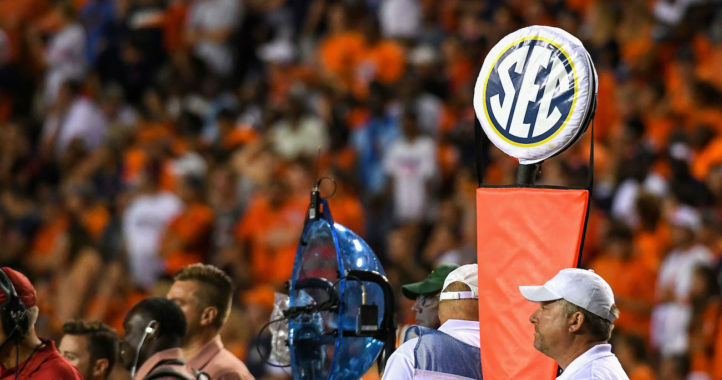 They’ll enter 2017 as runaway favorites in the East, where Florida is still struggling at quarterback and Tennessee is essentially starting over. Eason’s occasional freshman woes were predictable, but he’s still the best pure passing prospect in the SEC. It would be a mild upset if he doesn’t lead the league in yards and touchdowns next season. Preseason rankings are based largely on returning skill position star power — and Georgia has as much of that as anybody. Lamar Jackson returns, and Louisville will beat up on enough weak teams to be in the mix in 2017. Can they hold up against big boy teams like Florida State and Clemson? It’s doubtful. Florida enters the 2017 season with more questions than answers. Florida loses several elite players on defense who will be playing on Sundays, and depth at linebacker and defensive line is somewhat thin. Parallel that with no proven starter at quarterback, and Florida has several questions. The Gators have to hope freshman QB Feleipe Franks is the real deal, and while the offense returns RB Jordan Scarlett and WRs Antonio Callaway and Tyrie Cleveland, somebody has to get them the football. Will it be Franks? Jim McElwain sure has to hope that’s the case. It is way to early for a top 25, so that means it’s probably too early to argue about it also. That being said, this doesn’t look too bad. I guess it is not too bad if you like the fact that the SEC is ranked tied for last out of the 5 power conferences, in the top 10 anyways. and what SEC teams deserve to be top 10 that are not? This isn’t the conference rankings. Are you one of those bandwagon guys just supporting the SEC? How the hell are we 23rd? I know we have a lot of guys coming back next season but I don’t think we deserve to be ranked of course it doesn’t matter where you start it matters where you finish!! I know it’s just predictions but still!!!! I’m glad an Ole miss fan pointed this out. I was wondering the same thing. I don’t know that I would have ranked us in the top 25, but I can see how someone might. Offensive will still be very dangerous (return Patterson, the entire O-line, a good group of WR’s and Wilkins/Swinney/Brazley at RB) and a lot of returning players on defense. Maybe they’re speculating that even though our young defense got whipped all year this season, next year they will be more experienced and know their assignments better. We started 11 freshmen this year, the most in the nation. Hopefully it pays off over the next few years. I guess you don’t keep up with current events much, but Tennessee won at least two championships this year. The “Championship of Life” and what was the other one? Battle O’ Bristol. CHAMPIONS, BAYBEE! At least we’ll get to beat up on the bulldogs for a third year in a row. Texas as a top 25 team pre-season seems a bit of a stretch to me. No kidding, throwing tu in the top 25 makes this list a joke. Too many Big 10 teams in the top ten.Same deal every year they are way overrated. Why not. They deserved to be there this year. Are they losing a ton of talent? Michigan has something like 18 seniors leaving not counting underclassmen. That’s good to know. That sounds kind of like Tennessee. This should have been their year. Georgia 8 wins at best. A good poorly coached team. And your basis for that incredibly insightful proclamation is . . . ? Maybe it’s the Auburn in me, but I don’t think Bama should start as #1. To me, that’s an “it’s Bama” pick. No argument that the front 7 of this year’s team is great, perhaps best ever. But so much of that front 7 will be gone. The rest of that team is super talented (if you believe recruiting rankings), but they weren’t scaring anybody. That O-Line was average (maybe slightly above) and they lose the best player from that unit. They will be good again. And they may play themselves into that #1 spot again. But looking at what they have leaving and what the returners did this year, I don’t look at that 2017 team and think “best in the country”. Yep, it’s just that Auburn thing in you! Saying someone should not be #1 without saying who should, is probably the Auburn in him. I said before this season that Bama would go 9-3 or 10-2 based on who they lost and the uncertainty at QB and RB. Well, they just reloaded and made it to the championship game. So how anyone could pick against them until they start losing games is beyond me. This is a horrible list, and about the only thing right is Bama at the top. Clemson is too low, and what gives!?! USF isn’t on the list when they return Flowers and Mack, and has a defensive specialist as a coach!?! Expect them to run their table next season. Clemson has a good defense, and I honestly don’t know who they’re losing. However, they’re losing a Heisman-worthy QB, and their best WR, and I don’t know who else. But those two alone would knock them down a few spots for me, until they prove they can overcome such a loss. I am in no way comparing rosters, but see what happened with MSU after Dak Prescott left. Essentially, the worry is that Clemson will drop from a top-5 or better team to a top-10 team with Watson’s departure, and I don’t think that’s unrealistic. In fact, it’s a compliment to the rest of the roster and to the coaching. 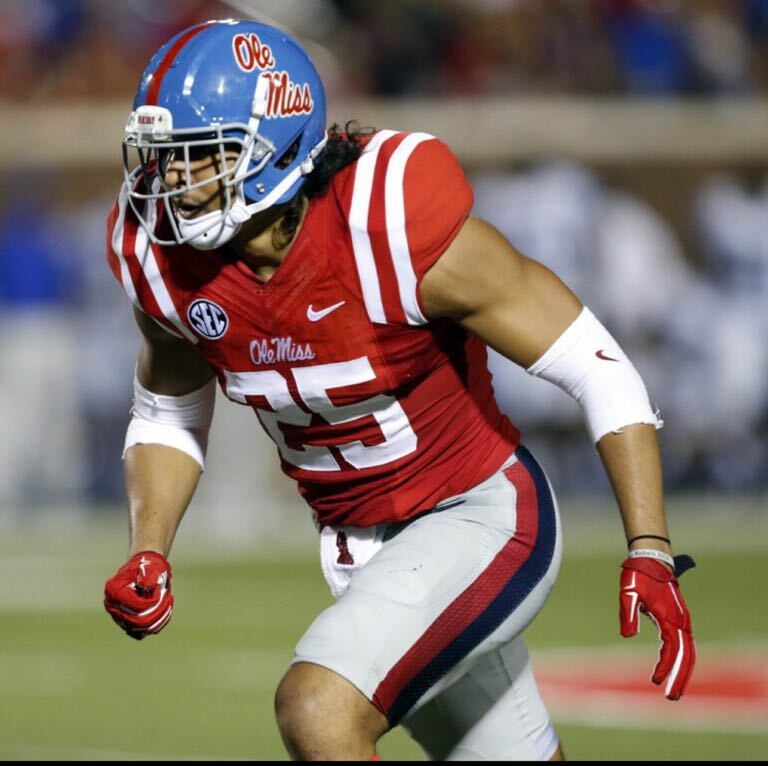 While Ole Miss does return a lot of starters from last year that *should* get better as they get a year older, id prefer us not to be in the top 25. These kids have all the talent in the world but they need to earn that respect back. Considering (1) we’re still in the ’16 season, (2) recruiting isn’t finalized, (3) spring practice is still 4 months away, and (4) all the offseason firing/transfer/arrest/suspension drama is yet to come . . . about as good as anyone else’s poll. It’s a conversation starter, and that’s pretty much the intent. The obligatory G5 Cinderella (or 2, or 3 . . .) hasn’t surfaced yet, but you know it’s coming. That’ll eat up ranking space, but very hard to predict. Too many B1Gs in the top ten. They all belong in the 25, but not all grouped together. Shades of the SEC! Something has to give – 3 of the 4 lost their bowl games and Wisconsin only beat a MAC team by 1 score. I’m leaning towards PSU next year in the playoff – Franklin is a beast of a coach. If Herman can get something going with all that talent Strong left behind, Texas could be a major force. They just didn’t have a defense this year. Kentucky and LSU showed the rest of the country how to slow down/stop Lamar Jackson. Petrino may win 8 next year. Six ACC teams is probably two too many. Tech, Pitt and maybe Louisville out. The SEC is hard to call. Tennessee, Ole Miss, Florida, A&M and possibly Auburn will be breaking in new quarterbacks. Florida and UT lose significant experience and talent while UGA pretty much stands pat (other than upgrading a horrible O-line and getting bigger at a lot of key positions), so it makes sense that the Dawgs will almost certainly be the pre-season East favorites. My Richt-kicked inner child says beware, you’ve been here often before, but I really, really like what I’m seeing out of Kirby’s process. We’ll find out early as App State and Notre Dame are the first two games on the docket. I guarantee Kirby will ensure ASU is not overlooked. Typical mutt response. Lose to GT…completely discount that. So what if Michel and Chubb are returning. you couldn’t win with them in 2016. Preseason top 15 once again. this time next year…unranked again. Who left the damn door open and let a bug in the house? Big 10 MIGHT be overrated…they took some tough loses (Michigan/Penn ST) but OSU got flat out EMBARASSED. Does OSU/Suburban getting his comeuppance by Clemson trigger a downward spiral for the Buckeyes? I say this only because recent history tells us some losses have lingering effects. Florida St losing to Oklahoma in BCS Championship…FSU stumbles for years until Mr. Winston shows up. Oklahoma being humiliated by USC…Big Game Bob has never lived that one down. USC losing to Texas…”Pete the Cheat” bails…remember when USC was NEVER going to lose again? ‘Bama destroys LSU 21-0…Tigers went on a steady decline. Bama punching Norte Dame in the mouth in 2012. The Irish are finally back! Nebraska getting pasted by Miami in NCG in ’01. Been mostly irreverent since. And most recently the 6-year run Dantonio had Michigan State on. Being embarrassed 38-0 by Bama in the playoff last year, and managing 3 wins in ’16. Put that photo in the dictionary next to “demoralized”. * irrevelent. Damn auto- correct. Its funny you say you’re not overreacting to bowl games but its clear you are, and its impossible not too. If lsu loses to Louisville their not 12 and if auburn beats Oklahoma their not 17 even tho that might be too high considering gus is our coach. And lets say clemson beats alabama, why dont they get the benefit of the doubt that saban and meyer get considering the level they have recruited at. I dnt care what clemson loses i trust dabo at this point a lot more than i trust penn st and usc building off this year success. As a UT fan, I would love for my team to enter this season with no hype or expectations. You all can keep the preseason hype, I’m all good. What about Kansas State? They return 16 starters from a 9-4 season and the score showed a closer game than it was but they handled A&M in the texas bowl, plus all the skill position players are back with a great group of incoming freshman. Over half of the starters this year were frosh and sophomores. This is a team that has a very favorable schedule and is primed to make a serious run for the CFP next year. I know that a ton of people are going to disagree with me but the facts are this team is loaded with talent and the best HC in the history of the game. I personally like that you’re not acknowledging the cats as a top 25 team but all you’re doing is throwing gas on an already burning fire and next season can’t get here quick enough. EMAW! GO STATE! Best head coach in the History of the game? Please qualify that statement. It was the opposite, actually. The game was really close. You are delusional if you think that K-State handled A&M. If Sumlin goes for it instead of kicking the 52 yard we which our kicker can’t make, A&M would have won. I agree that Bill Snyder is one of the best pure coaches in the history of NCAA football. Not the best recruiter. Sorry, but the aTm game was close. I would call K-State a Big 12 contender 2017, but I would call the Big 12 and the Big 10 candidates to have zero representatives in the CFP next year. Good Luck to the Cats though. Some of your neighbors in Missouri are still big K-State fans too. Sorry the Big 12 has turned out to be the most fixed conference in the history of the NCAA. What a mistake that we ever let Texas in, and that we didn’t throw Oklahoma out with them. So y’all have Texas and Ole Miss ranked but not A&M? In what world does that make sense. To be in the top 25 it helps to have a track record of finishing strong, being able to beat a top 50 team at home every now and again (or just about any Power 5 team at home for that matter), and not having a history of imploding at the end of the season. A&M, sadly, has a 3 year track record of abysmal finishes and no quarterback (again) in the run up to next season. (Yeah, I know IMG is sending us a guy, maybe, but Sumlin could not make it work with 3 different young highly rated QB’s, so no one is buying that QB whisperer crap anymore). Texas has a brand new highly touted coach (who may or may not be any good, but what the he$$, its 9 months from the next football season so why not jump off the ledge?). Not agreeing with the pick, but there is much more reason to believe Texas will make more improvements than A&M next season, and he is bringing in a QB who left A&M because Sumlin could not manage a locker room. I really hate to say it, but right now Texas makes a lot more sense in a pre season 25 than a Sumlin led A&M team competing in the SEC West. Sumlin needs to step up his game, by a lot, to get A&M to that level.